PolyFlex is a highly flexible material that prints with minimal effort on Robox. 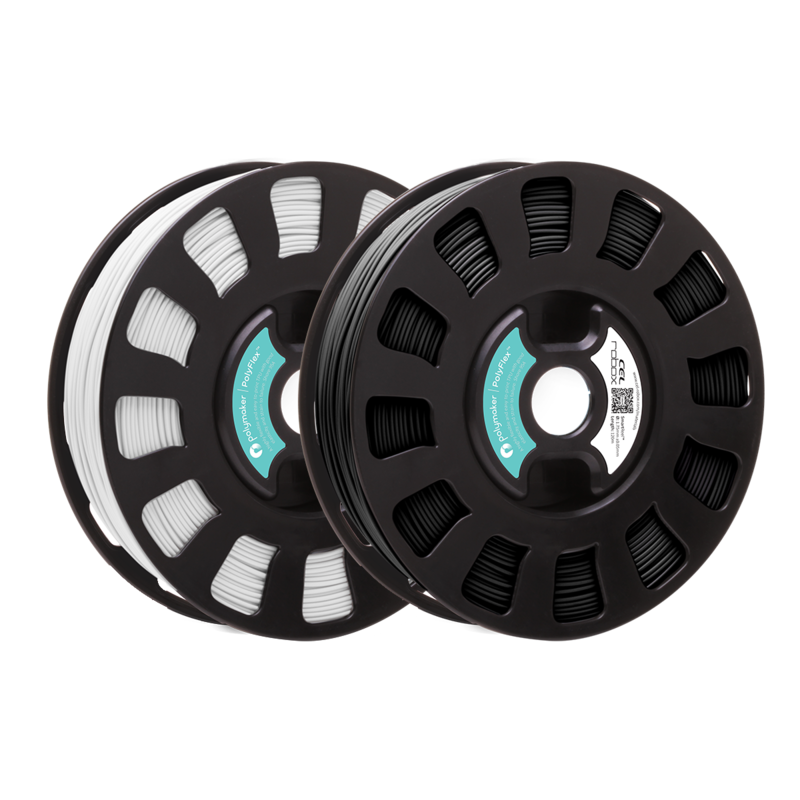 The addition of PolyFlex to the Robox SmartReel range opens totally new applications for professional desktop 3D printing. Please note that to print with flexible materials your Robox requires a flex compatible extruder RBX01-X2. Robox units made in the past 2 years including all Dual Material units have this as standard, it is grey in colour and can be seen by removing the left side cover of the Robox, be sure to unplug all leads whenever this cover is removed. 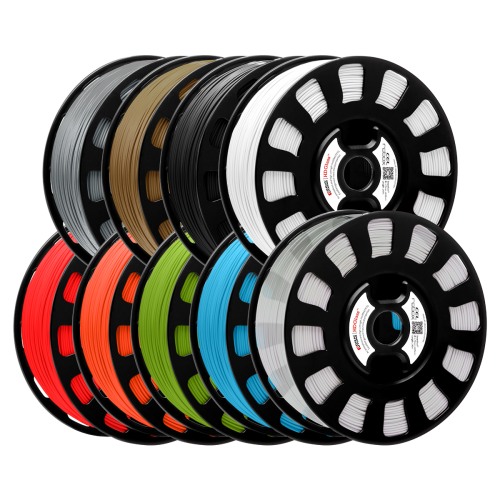 A black extruder which was standard on the first edition Robox units will become tangled if flexible filament is fed into it it is not to be used with flexible filament. 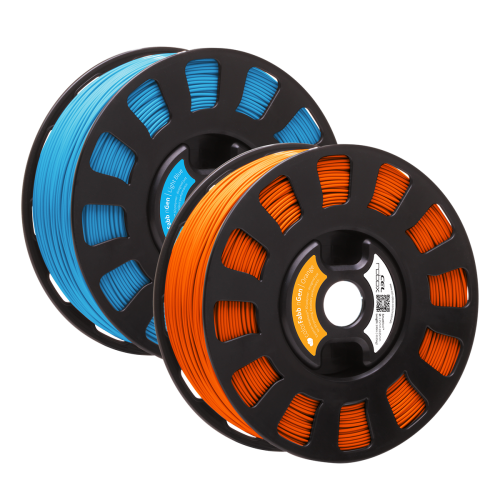 You may find it easier to load the material using a short piece of bowden tube inserted into the feed tube, this prevents this flexible filament from bunching as it enters the filament path. PolyFlex features a “Shore A” hardness of 90-95A and a large strain-to-failure of over 400%. These aren’t just figures on a page, but are tested values obtained from actual printed parts. What this means is that the material gives you flexible parts with no worry about them breaking. PolyFlex is truly your best tool for creating functional, flexible parts. One of Polymaker’s main goals when developing this innovative new material was to make it easy for everyone to use. 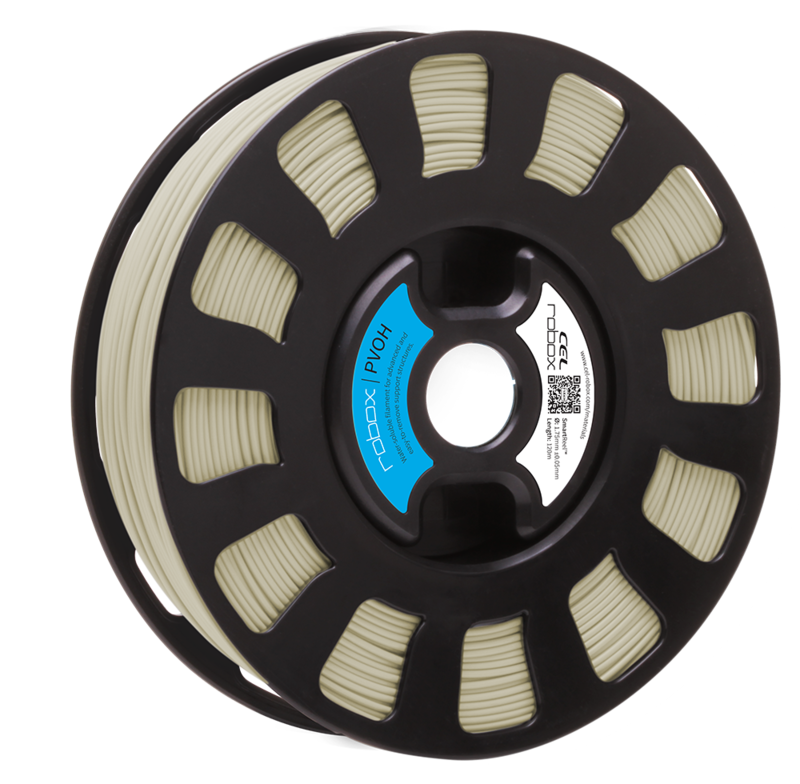 Unlike other TPU filaments, PolyFlex requires no hardware modifications whatsoever. Not only does it print effortlessly, but it adheres uniquely well to the Robox ThermoSurface PEI bed sheet leaving you to think about nothing other than what model you’re going to print. The soft and flexible nature of PolyFlex opens up a new dimension of what’s possible to create on Robox: clothing, shoes, wearables, prosthetics… you name it; the possibilities are endless!